My husband loads the dishwasher. 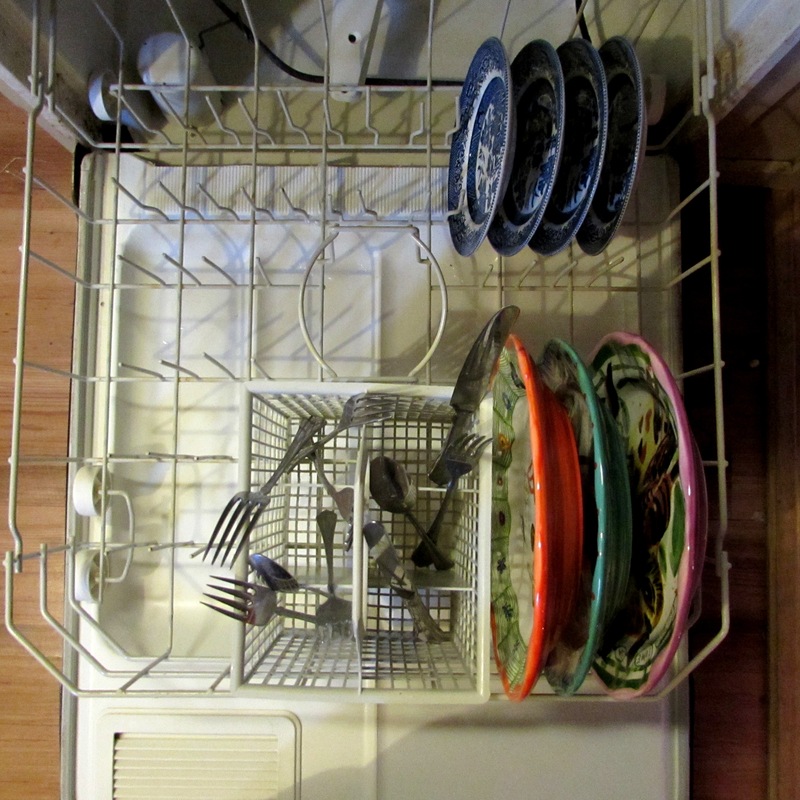 I have a husband that loads the dishwasher, sometimes more than once a week! I know, I know, I shouldn’t boast. But hey, I’m a lucky girl and I know it. 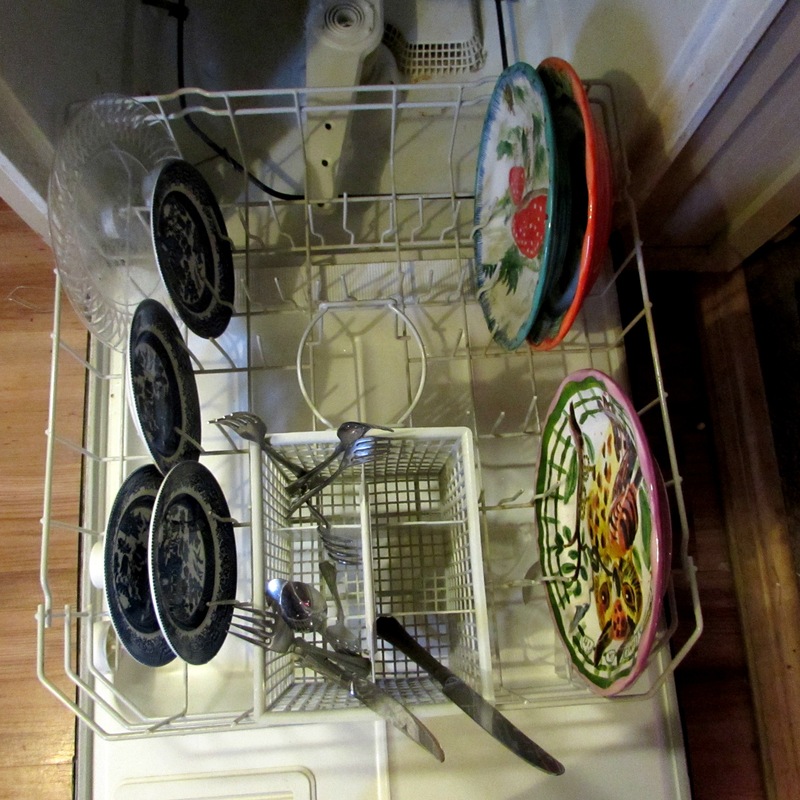 When he loads the dishwasher is looks like a random splattering of dishes, no rhyme or reason whatsoever. I can not abide this. I never say anything. I just always reload it before turning it on. I’m not sure if my reorganization results in more dishes actually fitting into the modern marvel. But is does my soul good to know that the glasses shall be kept company by their own kind throughout their steam bath, same with saucers, dinner plates and bowls. I’m going to say it makes unloading them easier, that more fit and they get cleaner. Even though, in all truth, it is probably just me. 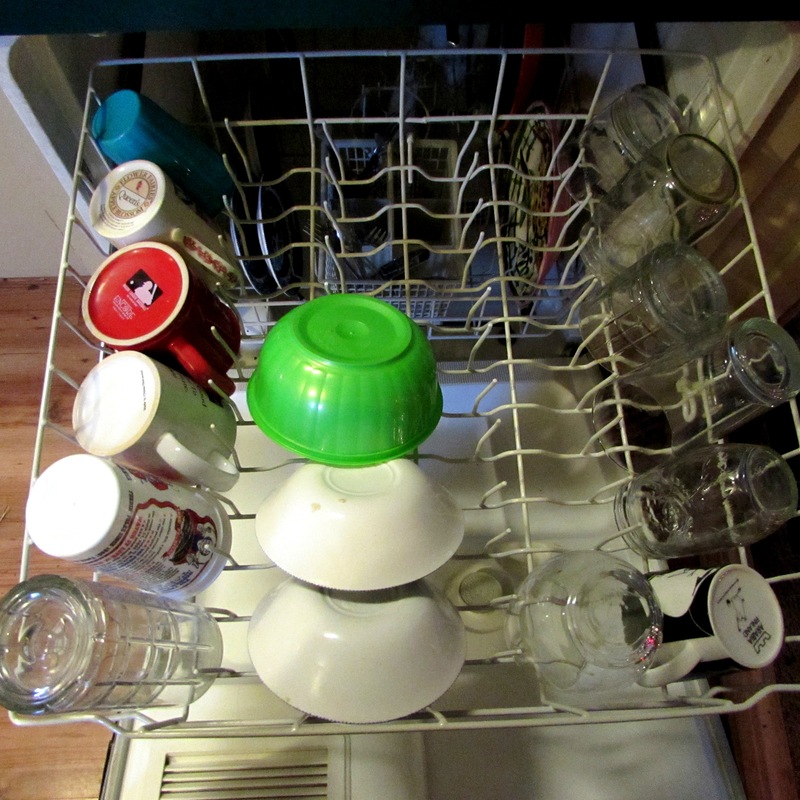 That glitch in my brain that forces me to organize dirty dishes. “Hi. 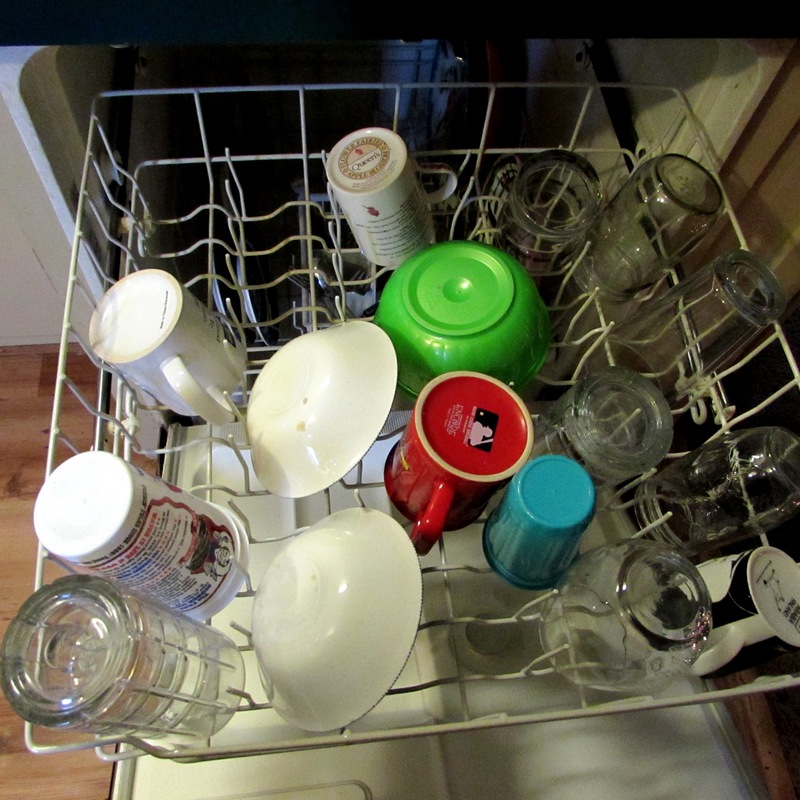 My name is Rachel and I organize dirty dishes”. Husbands on the left, mine on the right. I must admit I am a bit off today because that black coffee cup, front right, should switch places with the tall glass on the front left. If the dishes weren’t already done I would correct that. Does this bother anyone other than me? Anyone? I’ll bet he can’t fold clothes worth a flip either! It’s a guy thing I suppose! I would love to see you report on how he folds a fitted sheet. If that ever happens I’ll be sure to fill you in!